CSPP Moshe Egel-Tal, author of 3 Israeli Labor Laws You Do Not Know But Should, will be talking about pay slips, taxes, Bituach Leumi, labor laws and negotiating benefits at AACI Jerusalem on Monday, February 18th – tomorrow evening – from 7:30-9 pm. NIS 15 for AACI members, NIS 20 for non-members. 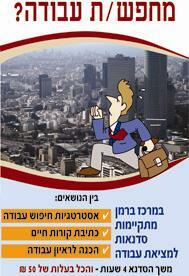 AACI will be holding a special Employment Seminar on February 20th in Beersheva at 10 am – 12 pm (2 hours). The seminar is open to all. Cost: NIS15 for AACI members, NIS 25 for non-members. More information on AACI's website. For questions or to pre-register, contact AACI Counselor Miriam Green at 08-643-3953 or mgreen [at] aaci.org.il. Haifa University is having a workshop to teach students and alumni how to find jobs. The 4-hour workshop is to be held on campus February 26th, 2008. 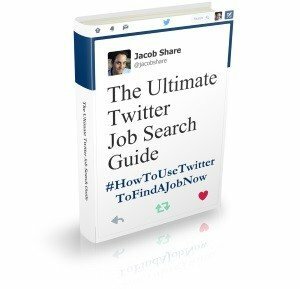 For more information, call 04-8249508 or email jobresume [at] univ.haifa.ac.il. Mark your calendar! 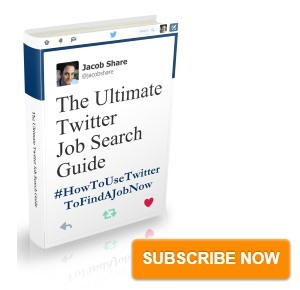 Subscribe to JobMob via RSS or email for more Israeli job seminar-hopping.